I have maintained that SSMS has a lot of underappreciated features, and that most of the community is not utilizing SSMS to it’s maximum potential. Today, I will show you how a simple configuration change helped in speeding up one of the most common tasks – generating a csv from data stored in a table. I will not be considering the point about using BCP because it has already been addressed by my previous post, and second because the server I was originally running on was production instance and bcp was not an option available to us. We can modify the query to something similar (please note, there can be multiple, much better implementations. The script below is for demonstration purposes only). The problem that we run into is alignment. If the results are copy-pasted into Notepad, they would not turn out as expected, and some manual formatting will be required. Isn’t this great? Have SSMS take care of all your troubles, and take the saved time to read something new on Just Learned! The benefit of the method shown above is that it is specific to the particular query window. So, once the query window is closed, SSMS will start honouring the default settings under Tools –> Options. I have written about other cool productivity improvements in SSMS here: Some underappreciated productivity features of SSMS. 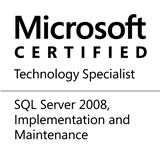 Also, you can search through my blogs for more content on SSMS & it’s utilities. This entry was posted in #SQLServer, Blog, Imported from BeyondRelational and tagged #SQLServer on July 21, 2011 by nakulvachhrajani.